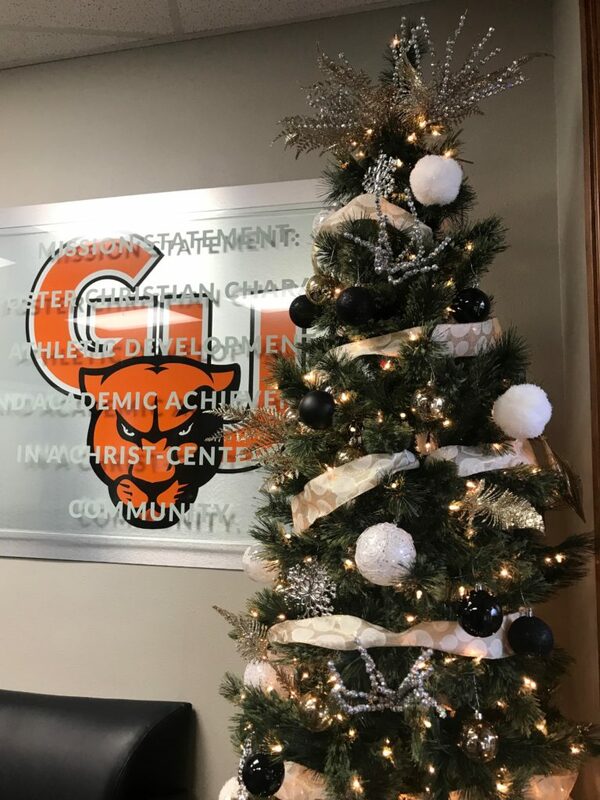 As Greenville University‘s fall sports have come to end, we are thankful for an exciting first semester but looking forward to a time of rest and also Christmas break. However, as these next two weeks drag on, there is still one thing to still be excited about. The entire campus is already amped up about HOOP SEASON and is ready to run the SLIAC! Greenville basketball has kicked off the season by hosting their first conference play this past Wednesday (11/28) night against Eureka College who stand 2-4 overall and 0-2 in conference play so far. It’s Christmas time in The Ville! The women’s basketball team sent Eureka home with an 82- 57 loss and let their presence in the conference be felt. The Panthers stand 4-2 and now 1-0 in the SLIAC. They quickly took control of the game and didn’t allow the Red Devils to gain any type of momentum. Senior guard Janzten Michael led the game in scoring with a high 17 points as she went 5 for 9 from the 3 line. Junior Emily Bradland also added 16 points to the win along with 7 rebounds. Captain Wesley Woodard contributed with 5 assists and 12 points. On the defensive end, the Panthers gathered a total of 13 steals in which Michael, Brandland, and Junior guard Brittany Lopez all managed to grab 3 a piece. The women out rebounded Eureka defensively 27-18 and finished the game with a total of 44 rebounds to the Devils 31. Greenville also caused Eureka to turn the ball over 20 times which resulted in 31 Panther points. 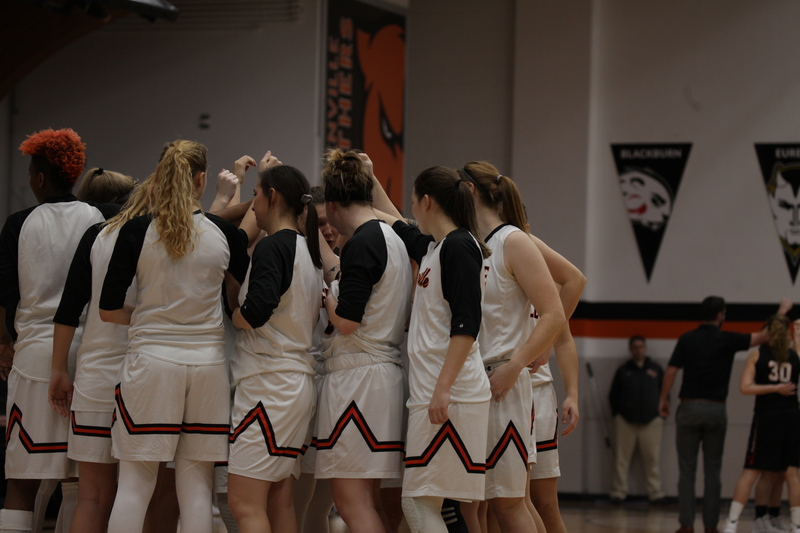 The women’s team traveled to Principia College this past Saturday and defeated the Principia Panthers 77-43. The GU Panthers were invited to join the home team in bringing awareness to the “It’s On Us” movement to end sexual assault and violence specifically on college campuses. Check out itsonus.org if you would like to learn more about this movement and take the pledge! The Panthers before tip off. 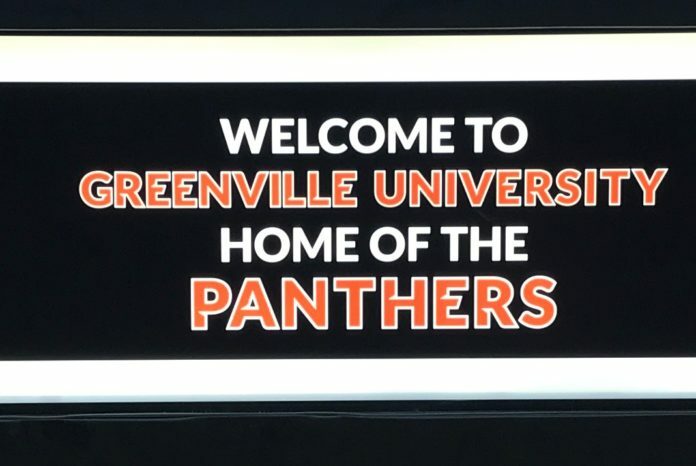 The Greenville Panthers hosted Washington University this past Monday night (12/3) in which they came up short 55-71 to the Bears. Although the score may look bad, this game was a true test for this program. WASH-U competes at such a high level every year so it’s always great to square off against a team like that. Greenville basketball will continue this Friday and Saturday afternoon as the women travel to MacMurray College to face off against Saint Mary of the Woods College and Robert Morris University.